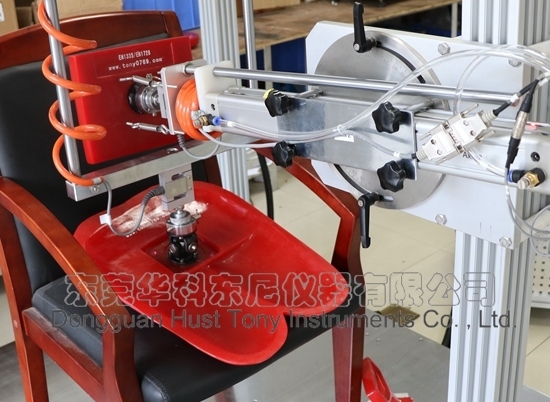 BS EN1335 Office Chair Seating and Back Rest Durability Testing EquipmentÂ Â isÂ usedÂ forÂ testingÂ theÂ strengthÂ andÂ durabilityÂ ofÂ officeÂ chair.Â MadeÂ ofÂ AluminumÂ materialÂ frame,Â PLCÂ contral,Â easyÂ operation;Â highÂ precisionÂ forceÂ sensorÂ forÂ theÂ loadÂ application. 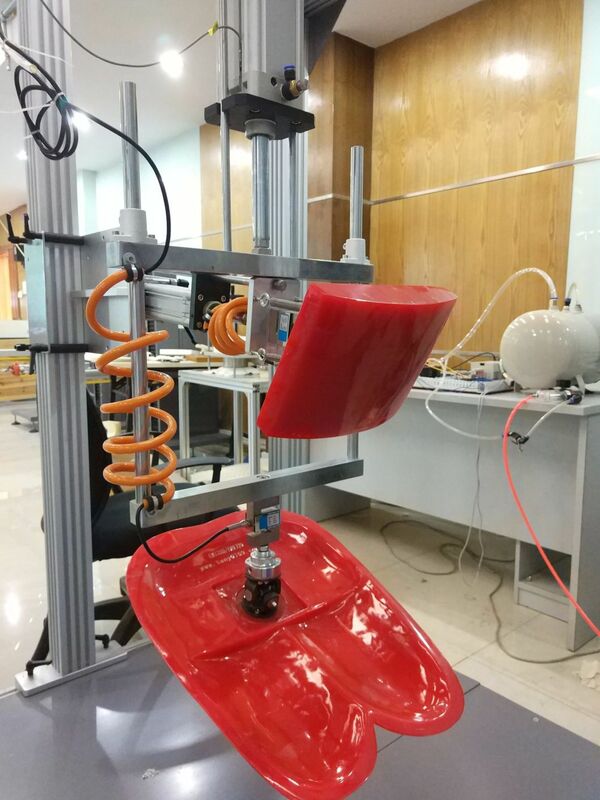 SeatÂ andÂ chairÂ backÂ durabilityÂ combinedÂ tester. Standards:Â QB/T2280Â /GBÂ 10357.3;Â ENÂ 1728;Â Â ENÂ 581-2Â andÂ BSÂ ENÂ 1335. StaicÂ tests:Â testsÂ consistingÂ ofÂ havyÂ loadsÂ beingÂ appliedÂ aÂ fewÂ timesÂ toÂ ensureÂ thatÂ furnitureÂ hasÂ sufficientÂ strengthÂ underÂ theÂ highestÂ levelsÂ ofÂ loadingÂ thatÂ mightÂ reasonablyÂ beÂ expectedÂ toÂ occur. 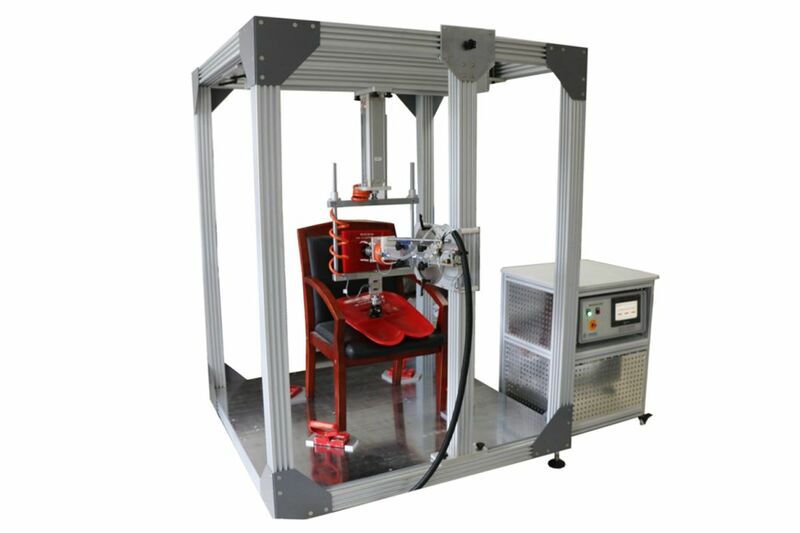 FatigueÂ test:TestÂ simulatingÂ theÂ repeatedÂ applicationÂ ofÂ loadsÂ orÂ movementÂ ofÂ componentsÂ occurringÂ duringÂ long-termÂ functionalÂ use. RepeatedÂ motionÂ 200000Â timesÂ inÂ frequencyÂ ofÂ noÂ moreÂ thanÂ 40times/min. 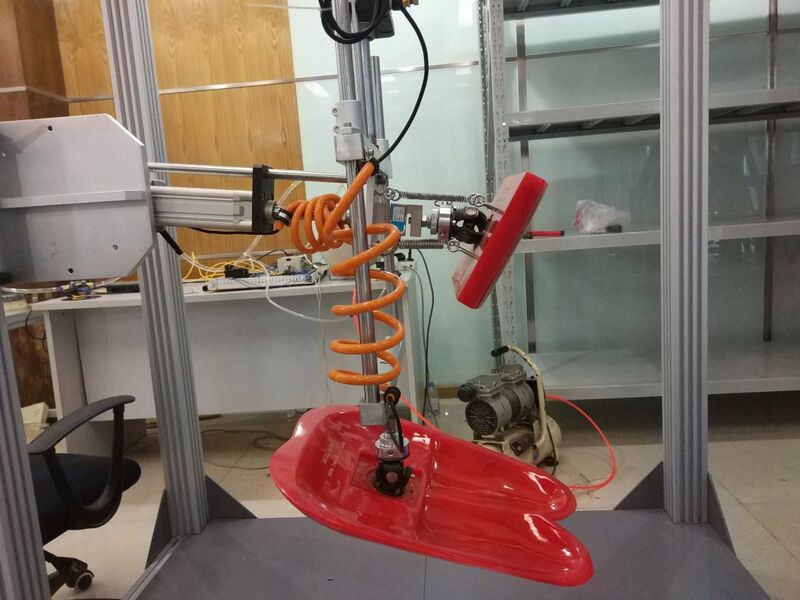 OfficeÂ ChairÂ BackÂ durabilityÂ testerÂ comeÂ withÂ aluminumÂ frame,elegantÂ appearance. PneumaticÂ driveÂ toÂ load,easyÂ toÂ clean.